A guide to researching records of hospitals, prisons, and other institutions operated by the State of Minnesota. 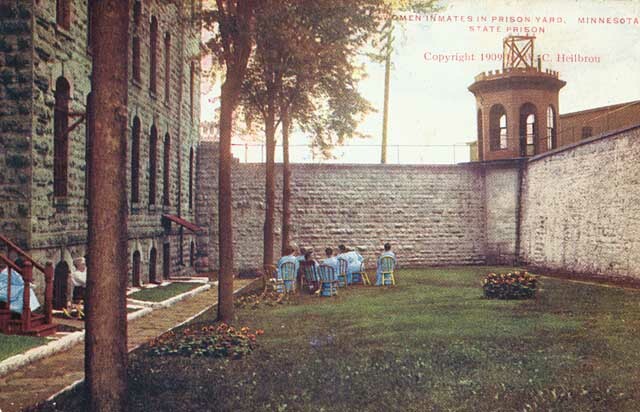 Stillwater State Prison: The Minnesota State Prison, now a maximum security facility for adult male felons, was established and located in Stillwater by an act of the territorial legislature in February, 1851. Until the establishment of the Shakopee State Reformatory for Women (1920) the Stillwater prison received female as well as male convicts. Shakopee State Reformatory for Women: Established in 1920, houses adult female felons. St. Cloud State Reformatory: Established by the legislature in 1887 as a correctional institution for first offenders between the ages of 16 and 30. It now serves as the Department of Corrections intake center for adult males. Red Wing State Training School: The second oldest correctional institution in the state, established as the House of Refuge by an act of the Legislature in 1866. When the school actually opened in St. Paul in 1868, it was renamed the State Reform School. In 1891 the school moved to Red Wing, and in 1895 the name of the school was changed to the State Training School for Boys and Girls. In 1911, the girls at the school were transferred to the Minnesota Home School for Girls in Sauk Centre, and the school at Red Wing became an institution for delinquent boys only, renamed the Minnesota Training School for Boys. Sauk Centre Home School for Girls: Established in 1907 by an act of the legislature as the State Industrial School for Girls, to provide for the care, training, and education of girls who had been declared delinquent and committed by the courts. The school was built on a site in Sauk Centre, Stearns County and opened in 1911 as the Minnesota Home School for Girls. The school was closed on July 1, 1999. For more information on researching state prisons visit our State Prison Research Guide.